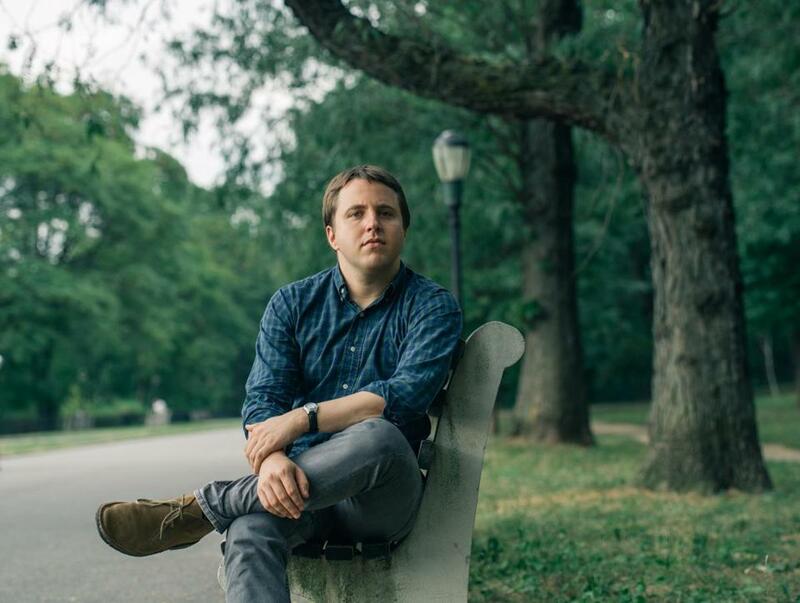 Playwright Joshua Harmon in Central Park in New York City. NEW YORK — Joshua Harmon has always considered himself a quiet observer — wry, with an acerbic sense of humor, but an observer nonetheless. For an aspiring playwright who wants to understand what makes people tick — their vulnerabilities, hopes, and fears — the back of the classroom proved to be a good training ground. It also gave Harmon a healthy appreciation for smart-aleck sidekicks and eccentric supporting characters. Indeed, in both “Bad Jews,” which SpeakEasy produced in 2014, and “Significant Other,” Harmon has foregrounded characters of a type who are often relegated to the sidelines. In “Significant Other,” Jordan is a Manhattan-dwelling singleton navigating dating, romance, and friendship with his three best girlfriends, Kiki, Vanessa, and Laura. The action begins at a bachelorette party for Kiki, the crass, self-absorbed firecracker who’s soon to be married. While Jordan prattles on about cyberstalking his sexually ambiguous co-worker Will, hoping to ask him out on a date, Vanessa and Laura lament the disastrous states of their respective love lives. Before long, though, Vanessa and Laura are coupling off, while Jordan finds himself alone and fearful that he’ll never find love, which causes him to lash out and spiral further into loneliness. Yet despite any surface similarities, he says the character is not an autobiographical creation, nor is the play a memoir. But what is true is the emotional transparency of a work in which he draws from questions, fears, and anxieties that roil his own mind. “Something can begin from a truthful place, but as it moves through development and workshops and rewriting, it changes,” says Harmon, 33. “I think most playwrights coming up hope for an off-Broadway or regional production, and that’s the pinnacle. Broadway legitimately wasn’t a goal or a dream. So I’m still taking it in,” he says. Indeed, Harmon was intrigued by the fact that people are getting married at an older age now — on average in their late 20s. Friendships that predate a marriage are being drawn out further than in the past. Interspersed throughout the play are scenes showing Jordan’s tender relationship with his grandmother. Despite her deteriorating memory and own bouts of solitude, she offers pearls of wisdom and a modicum of solace for Jordan.